It's expensive trying to break out of a slump. Just ask Under Armour. In February, Under Armour updated its long-term restructuring plan, telling investors the company would take charges of up to $130 million to invest in its struggling business. On Thursday, it told investors it would spend up to $80 million more than initially planned. Under Armour also reported net losses of $95.5 million last quarter, up from $12.3 million a year prior. Under Armour is spending heavily after a dismal 2017. The company was underprepared for the sports athletic market turning away from high-priced basketball shoes to cheaper sneakers and clothes that fit into shoppers' athleisure tastes. Sales dropped for the first time since the company went public in 2005. Last year, Under Armour slashed growth targets, and several top executives left. CEO Kevin Plank called for a "pivot" to get the brand moving again in the United States and compete with Nike and Adidas. Under Armour said it would expand from predominately men's sneakers and clothing to collections for women and kids. It also said it would focus more on selling $80- to $100-products. The company's turnaround strategy is working, but it's proving costly. 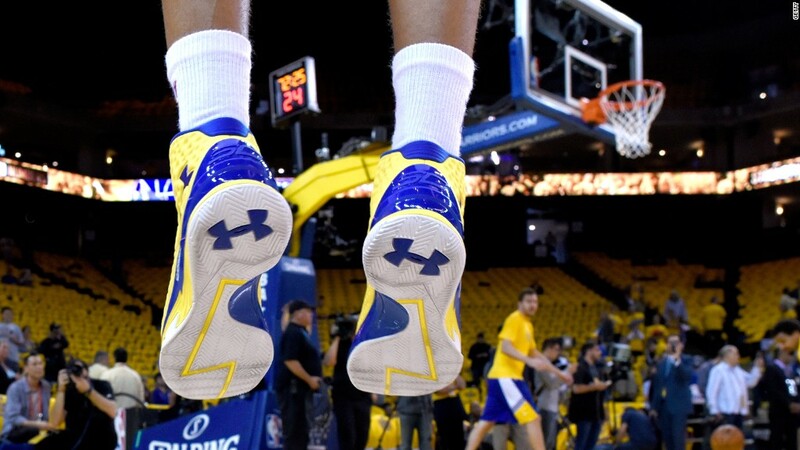 Under Armour said North American sales grew 1.6% last quarter from a year prior. The company still expects sales in the region to decline in 2018, but new chief operating officer Patrik Frisk told analysts that the brand had become "stable" in its biggest market. "We are tracking well against our multi-year transformation to build a stronger, leaner and more operationally excellent company," CEO Plank told analysts on a call. He added, however, that "no one is at any way declaring victory." In a positive sign for Wall Street, Under Armour's inventory level growth slowed down last quarter. Under Armour has been plagued by excess inventory, which is problematic for retailers because it forces them to rely on discounts to keep their warehouses lean. Wall Street was encouraged by sales in North America, sending Under Armour's (UAA) stock around 5% higher mid-Thursday. But Neil Saunders, an analyst at GlobalData Retail, said in an email that he had concerns about Under Armour's debt load and whether the company's sales performance could sustain its weakened financial position. He also noted that Under Armour may have to keep plowing through cash to reinvent itself, putting even more pressure on its balance sheet.